Premier Doug Ford’s first provincial budget since coming into office announced sweeping changes to the funding model for universities and colleges, which will now have a significant proportion of their funding tied to performance indicators such as skills and job outcomes, as opposed to enrolment numbers. While previous agreements with the province outlined that only 1.4 per cent of funding would be tied to performance, the Ford government plans to increase this to 60 per cent by 2024–2025. 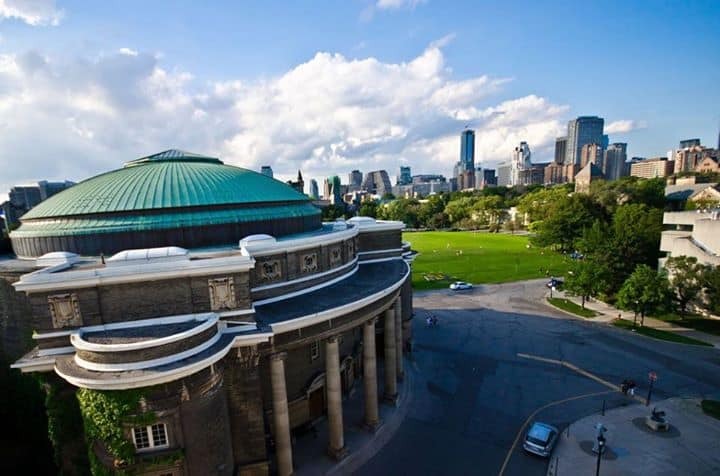 This means that the 25 per cent of revenue that U of T receives from provincial grants would be contingent on whether it meets guidelines set out by the government or not. Also proposed in the budget were plans to potentially lower the average retirement age of faculty in a bid to decrease salary costs and herald in a more “dynamic” workforce. The budget confirmed previously-announced cuts to the Ontario Student Assistance Program (OSAP) and tuition without offering much new information on these plans. In a sweeping change, the province will now be tying 60 per cent of postsecondary funding to performance outcomes by the 2024–2025 academic year, up from 1.4 per cent for universities and 1.2 per cent for colleges currently. This means that the amount of money a school receives will now be principally based on how well it is doing on a number of metrics, including skills outcomes, job outcomes, and economic and community impact. The government is doing this in an effort to ensure that students have a reasonable prospect of employment after graduation. This plan will be cemented in the next round of Strategic Mandate Agreements (SMAs), which are bilateral arrangements between the Ministry of Training, Colleges and Universities and each of Ontario’s 45 publicly assisted colleges and universities. SMAs outline how much money the province will provide to schools over a multi-year period. The percentage tied to performance will be increased incrementally, beginning with 25 per cent in 2020–2021 when the current SMAs expire, and going up by 10 per cent for three years and by five per cent in the last year. The final target of 60 per cent was chosen to provide enough incentive for universities to follow through on their performance commitments. It is unclear what the remaining 40 per cent of funding would be tied to. Though the specific metrics have not been released yet, the budget indicated that the number of metrics would be reduced from 28 to 10 for universities, and by 38 to 10 for colleges. One out of 10 metrics can be decided by the schools themselves. Currently, U of T’s factors include student experience, innovation, research impact, and access and equity. In an attempt to ensure a “dynamic university workforce,” the province wants to introduce amendments to the Ministry of Training, Colleges and Universities Act, apparently to lower the average faculty retirement age. “The average retirement age of faculty has been increasing, suggesting that employees are remaining in their positions longer and limiting turnover that would bring in earlier career professionals with new teaching methods and increase diversity,” the budget states. It pointed to the cost implications of a higher retirement age, since older faculty tend to have the highest salaries and benefits, and sometimes are also simultaneously receiving pension payments. Though the government had announced earlier this year that it would be eliminating non-needs-based OSAP grants, there was no mention of this in the budget. Instead, the budget reiterated an earlier pledge that 82 per cent of grants will now go to students whose families earn less than $50,000, which is up from 76 per cent under the Liberal government. The cuts to OSAP were justified as an effort to fix a “financially unsustainable” program inherited from the previous Liberal government. According to a 2018 report from the Auditor General of Ontario, OSAP is projected to cost up to $2 billion by the 2020–2021 fiscal year, representing a 50 per cent increase from 2016–2017. The OSAP changes are estimated to save the government at least $325 million annually. The budget also did not reveal considerable new information about the Ford government’s proposal to decrease tuition by 10 per cent next year across the board and freeze it for the following year. The budget estimated that the tuition cut will save Ontario students around $450 million, with the average undergraduate arts and science student saving $660. There was also no new information on the Student Choice Initiative, which is the mandate for postsecondary institutions to have an opt-out option for certain incidental fees, such as student union fees. According to the budget, “fees that fund major campus-wide services and facilities, such as existing transit pass agreements, and those that support essential campus health and safety initiatives will continue to be mandatory,” which was already publicly available information.